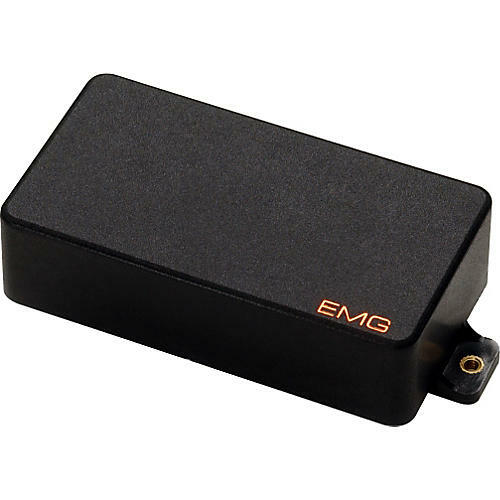 Inside the EMG-89R pickup are both single and dual-coil pickups, each with its own output. The single-coil mode is an Alnico-loaded stacked EMG-SA. The dual-coil mode consists of two Alnico-loaded coils opposite one another, creating a guitar pickup similar to the EMG-85. A push/pull volume or tone enables you to switch from the clarity of a single-coil to the fatness of a humbucking. Virtually noiseless in both modes. The EMG-89 pickup's separate outputs give you option to utilize EMG tone enhancing accessory circuits on either pickup output. For the sweet single coil tone in the neck, use the EMG-89R pickup, which simply is the EMG-89 placed 180 degrees in the cover cap housing. The most requested combo system is the EMG-89/EMG-SA/EMG-89R. This gives you the best of both worlds, offering the most versatility possible in a HSH setup.